Dr. Reid received her B.S. Degree in Biology from SUNY Stony Brook in New York & completed her dental degree from New York University College of Dentistry in 1997. She has had two years of surgical training from Bronx Lebanon Hospital in Bronx, New York and has gone on dental missions to Kingston, Jamaica. 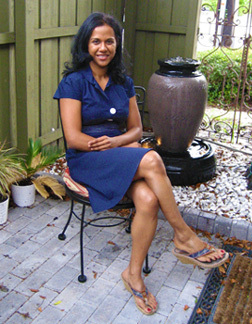 She has been in private practice for 15 years, and is delighted to now live and practice in Orlando. Our yearly community activities also include AIDS WALK ORLANDO which is held by Hope and Health Center of Central Florida and Project Dentist Care which offers free dental work to foster kids through the Florida Dental Association.